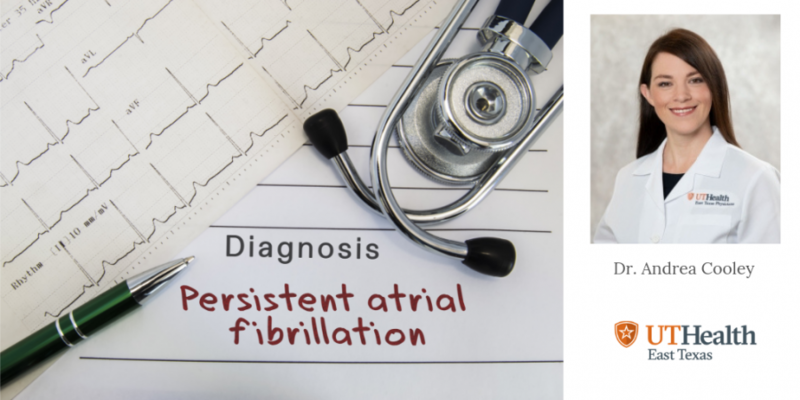 Here is Dr. Cooley with more information on what atrial fibrillation is, how it can be treated and the most advanced technology being used at UT Health. Atrial fibrillation is responsible for 20 percent of strokes in the US because it can allow clots to form in the heart. It has now been deemed an epidemic, with nearly 1 out of every 10 patients aged 65 or older having it. It’s estimated that there will be more new AFib patients this year than all cancers combined. AFib is a condition of the heart's natural pacemaker system that results in an irregular heartbeat. Instead of producing a coordinated squeeze, the top chambers of the heart can only wiggle. This is very inefficient for the heart and blood does not pump forward correctly, causing some major complications both in and out of the heart. Patients with AFib also have a risk of congestive heart failure that is three times higher than the general population. For a long time, the medical community has underestimated the importance of AFib; however, in the past few years, the impact on patients' quality of life and survival have been better appreciated. The most important thing for patients, as well as the medical community, to understand about AFib is that it is much more dangerous than we knew even a few years ago. Because it is so common, it has been viewed for decades almost as a minor condition with symptoms that result in an annoyance to patients. We did not understand the impact AFib has on strokes, heart failure and even early death. We now have better tools to fight this disease and this technology is available right here at UT Health. AFib has several hallmark symptoms. Most commonly, patients complain of heart palpitations or racing, but it can also present with shortness of breath, dizziness or chest pain. Usually these symptoms only present when a fast, irregular heart rate is triggered. AFib can be difficult to diagnose because 20 percent of patients don't have symptoms or their symptoms can come and go. Unfortunately, a patient can still develop the complications from AFib even when they can't feel it or if it is intermittent. A physician can perform an ambulatory cardiac monitoring test, such as a Holter monitor. This is an EKG the patient wears for one to two weeks to record any episodes of AFib that may come and go. There are several options for correcting AFib. The most common is treatment with different medications. Some medications try to keep the heart rate slower, which improves symptoms but does not place the heart back into a regular, coordinated rhythm. Patients are still at risk for stroke and heart failure, so powerful blood thinners also are started. Other medications try to place the heart back into a regular rhythm. AFib tends to cause changes in the cells of the heart, so it can be difficult to successfully manage. Because of this and the recent improved understanding of the dangers of AFib, new recommendations have emerged nationally for more aggressive treatment in patients with refractory symptoms. In patients who have the type of AFib that comes and goes (called paroxysmal), which make up about 25 percent of all AFib cases, an endocardial ablation is recommended and has a 90 percent success rate. This is a procedure performed by a specialized type of cardiologist called an electrophysiologist, or EP. The EP can place a balloon through the groin and freeze several areas within the heart to kill the tissue causing the irregular heartbeat. The remaining patients have a more advanced form of AFib called persistent AFib. These patients have issues related to scarring inside their hearts, so the abnormal pacemaker signals can come from many different areas. The long-term success of a catheter ablation falls to 30 percent to 50 percent, according national reports. In these patients, a new minimally invasive hybrid ablation called the convergent procedure has been developed by combining the catheter ablation with a surgical ablation. This allows for a more thorough ablation of the diseased tissue by using a team approach. The cardiac surgeon can place a small incision just beneath the breast bone to insert a camera and an ablation catheter behind the heart. The areas of the heart that cannot be reached by the EP from the inside can then be ablated by the surgeon without having to open the chest or go on the heart-lung machine. The success rates for correcting persistent AFib in patients who undergo both stages is being reported as 75 percent to 85 percent. The convergent procedure has been performed at centers nationally since approximately 2012. I was lucky enough to train at a center in Dallas that performed many of these procedures successfully. It is a procedure that is new to UT Health and we are excited to be able to offer it to our patients, especially because East Texas actually has some of the highest rates of AFib in the country. This procedure is performed in two stages. During the first stage, the patient is admitted to the hospital and undergoes the surgical portion of the procedure. This involves the cardiac surgeon, cardiac anesthesiologist and nurses specialized in cardiac surgical care, both in the operating room and on the wards. The patient generally remains in the hospital for two to three days for recovery. The second stage of the procedure is performed on an outpatient basis with the EP team. 1) They must have ongoing symptoms of AFib (palpitations, racing heart, dizziness, shortness of breath at rest or with activity, chest pain, etc.). 2) They must have already tried another form of treatment to place them back in a regular rhythm, such as medications, an electrocardioversion (also known as shocking the heart back into rhythm) or a catheter ablation. 3) They must have the persistent form of AFib. The procedure can be performed in patients with paroxysmal AFib if they have failed a catheter ablation already. Patients who remain symptomatic with their AFib despite other treatments have not had many other options up to this point. Since the medical community has recognized the importance of AFib, there has been an explosion of research into this area in the past couple of years. This has allowed the development of advanced ablation techniques and these advanced techniques are showing much higher rates of success in long-term studies. The main benefit that has been proven is improved quality of life from a symptom standpoint. Patients find they can perform their activities better, have more energy and don't feel "slowed down" by their heart. Many are able to stop some of the heart medications that give unpleasant side effects. As research continues, there is hope that keeping patients out of AFib will result in a decrease in strokes, heart failure, and AFib-related death. Heart disease and issues can affect anyone and often can be present with no symptoms. Schedule an appointment with your primary care physician to check your blood pressure and cholesterol levels as well as any other tests recommended based on age and family history. 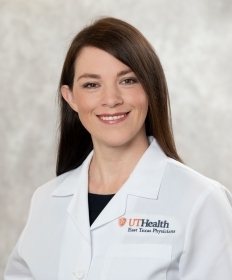 Learn more about UT Health’s 7-screening program, MyHeart First.